Welcoming and inviting, the Barbados is meant to be shared with friends and family. This spacious model features seven wide open seats with 62 therapy jets and a private recliner style corner seat. A relaxing backyard retreat at an irresistible price. The Carmel is a great option for a smaller space. Small on size but large on features, the Carmel model offers a reversible lounge and two contoured extra deep bucket seats. This model delivers lower back muscle and full leg therapy. The Catalina allows you to relax in high style as armrests and 54 targeted therapy jets ease muscle tension and stress. Solitude and tranquility await you in the Denali. 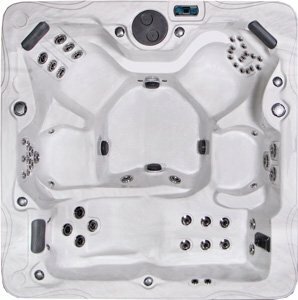 This non-lounge hot tub features wide comfort styled open seating. 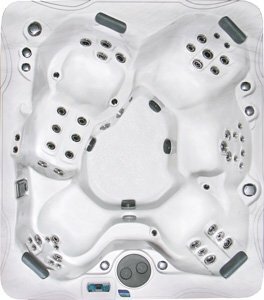 Ample space with seven seats and 61 jets, each seat offers a variation of hydrotherapy jetting for total body rejuvenation. Give yourself over to premium warm water therapy. The Freeport impresses with ergonomically designed open seats, a wide contoured lounge and captain’s chair. 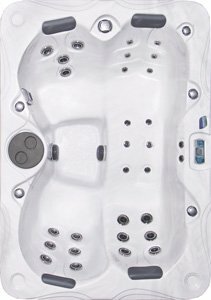 Each seat wraps your body with superb hydrotherapy action as 61 therapy jets release stress and melt tension from neck to toe. Escape into a cove of comfort with the Monterey. The embodiment of style and serenity, this handcrafted haven has four contoured seats with armrests and a sculpted lounge. Indulge your senses as your feet, neck, and everything in between is soothed and pampered by 56 sensibly placed therapy jets. 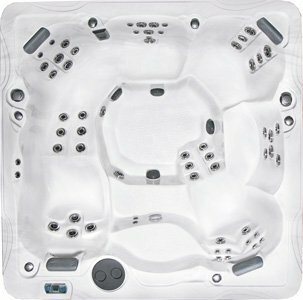 As a company who truly understands the many benefits of hydrotherapy PDC Spas has been working tirelessly over the past six decades to make owning a hot tub a reality to all of those who seek it. 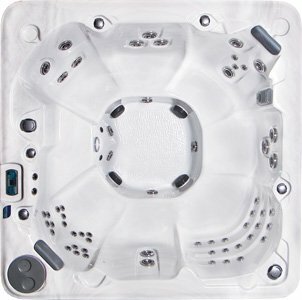 Our Premium Series hot tubs are a fitting testament to this commitment. 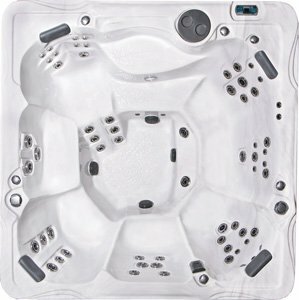 Designed especially for the budget minded hot tub enthusiast, the Premium Series offers a comprehensive selection of affordable hot tubs with seating options ranging from 3 to 7, in addition to comfort and hydrotherapy features you would expect to find on more advanced models. Whether you are a family looking for new ways to enjoy quality time together or a homeowner in search of an economical way to transform your deck, patio or basement, PDC is proud to offer a full line of hot tubs that provide exceptional value and vast customization options.